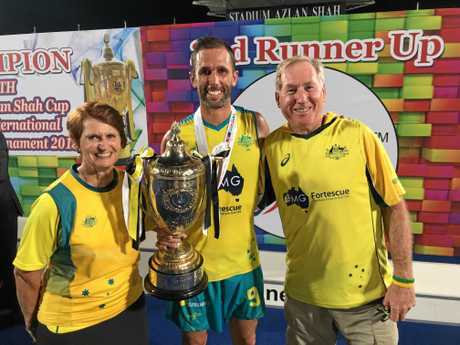 HOCKEY: Rockhampton's homegrown hero Mark Knowles is approaching the 2019 Oceania Cup with as much enthusiasm as if he was playing in it. The 34-year-old, who ended his celebrated career with gold at the Gold Coast Commonwealth Games in April, is thrilled that his home town will host the international tournament. 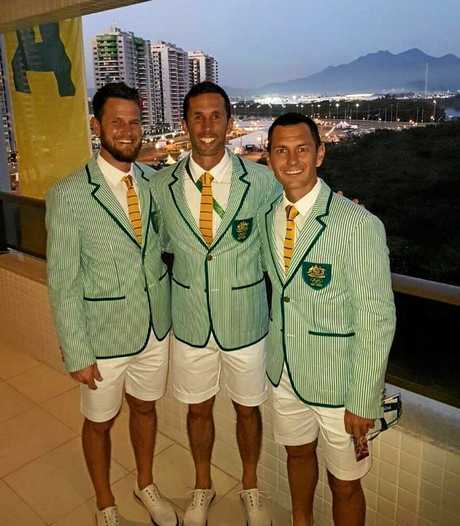 He has vowed to do everything he can to make the event a success, and is confident his former Kookaburras teammates and fellow Rockhampton stars Jamie Dwyer and Matt Gohdes will do the same. "It's awesome. It's really amazing news,” Mark said. "We've got the best level of hockey that Rockhampton can host - Australia, New Zealand and a few other nations. "It's going to be a great spectacle and I'm going to push and push and push for people to buy into it. 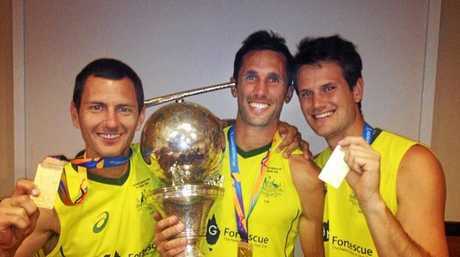 Jamie Dwyer, Mark Knowles and Matt Ghodes after the Kookaburras won the World Cup in 2014. Mark's mum Barb is president of the Rockhampton Hockey Association and was a driving force behind the successful bid. She has been inundated with messages of congratulations and offers of support after last week's announcement by the Oceania Hockey Federation that Rockhampton would host the Cup and the Intercontinental Hockey5s. Barb was determined to bring international hockey back to the city after it hosted a two-Test series between Australia and South Korea in 2006. Jamie played with the Kookaburras, but Mark was out injured. Mark said while it would have been a dream come true to wear the green and gold in front of his home crowd, the event was a huge success - and he wants that success replicated on a grander scale in 2019. ”Those involved in 2006 - players, officials and spectators - still talk about it,” he said. "We want that again. We want this to be something that people are talking about for the next 12 years. "I'm going to get on the front foot pretty quickly and do everything I can to support it and I know Jamie and Matt will want to do that too. Rockhampton did put its hand up for the Oceania Cup in 2015 but lost out to Stratford, New Zealand. Mark said that was disappointing because if that bid was successful, he, Jamie and Matt would have been playing with the Kookaburras. But he likened that to the highs and lows of international competition. "When you play in a high-performance team, you win games and you lose games,” he said. "I know members of the RHA and the Rockhampton Council who would have been feeling in 2015 like I felt whenever we lost a game. "But they've won now and it's all about making the most of this experience. Mark is hoping that watching elite hockey in their own backyard could encourage more young talent to strive for higher honours. 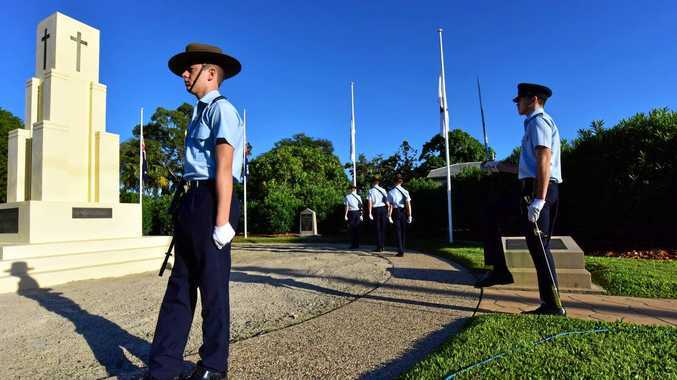 "You don't need to go to the Commonwealth Games or the Olympics, you can be inspired right in your own backyard. "Me, Jamie and Matt love where we come from and are incredibly proud of what we achieved and we want more players to do it now.